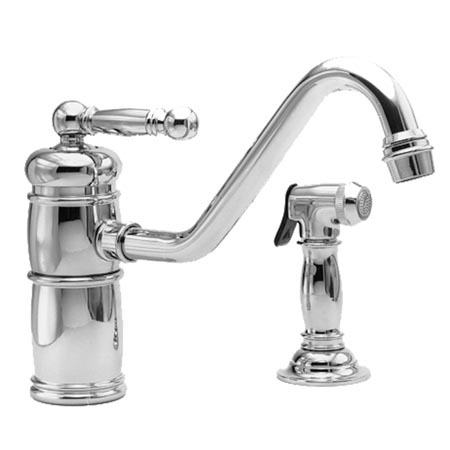 Newport Brass was created as an offshoot of Brasstech which was founded in 1987 by the Escalette family who recognized a need in the decorative plumbing industry for more reasonably priced products made of quality materials and crafted with the same care given to more costly offerings. Through the 1990’s the company added sophisticated machinery and finishing techniques, expanding the offering to include a wide variety of finishes. The finishing expertise evolved to include PVD (physical vapor deposition) which at the time was a technology mastered by few other manufacturers in the industry. They have since offered a wide variety of kitchen faucets and accessories to complement the bath range. Today they offer 48 unique series covering traditional, transitional and contemporary designs, all of which are available in 31 finishes with multiple style and pricing options. Each series is offered as a complete product suite providing the customer with the ability to equip an entire bathroom or kitchen with matching trim and accessories. In 2002 Masco acquired the company from the Escalette family and has run it ever since. The company’s growth from a modest family-owned business to a recognized national brand is a result of employees striving for the best, maintaining the highest integrity and offering consumer-driven product choices with high quality construction.